2008 Nissan Altima 2.5 S Coupe Automatic! 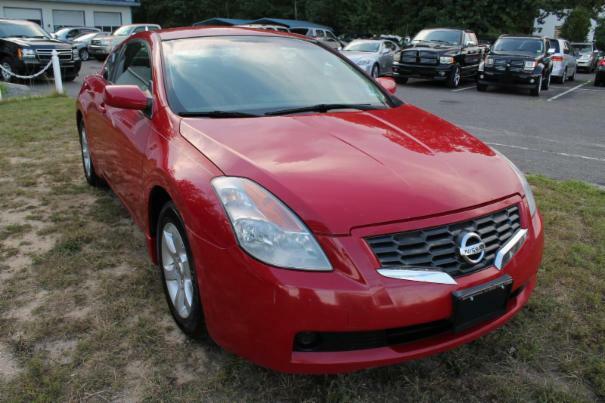 Nicely optioned rare red on black, excellent running Altima. Beautiful car inside and out that drives quietly down the road with no issues. Quiet running engine and excellent shifting transmission. Ice cold air conditioning and no warning lights on. Alloy wheels, full power interior, cruise control, power driver seat, side airbags, keyless entry and push-to-start! Very clean body with no notable damages. Nicely kept interior with original floor mats. Everything in the car works like it should.